Big Sur California - A great reputation surrounds this place and it is very well deserved. 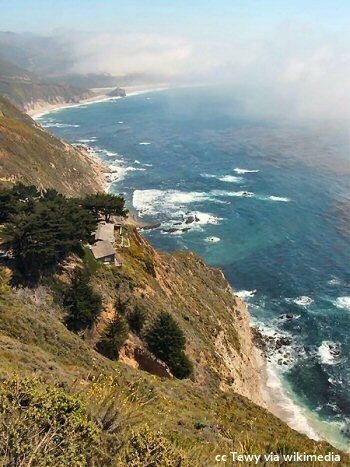 There really is no other place like Big Sur. Whether you just are passing through or staying several days, there are amazing treasures to be discovered here. Note the house at the left center of the photo - how's that for a view?! There are places that we become familiar with through pictures and video. Some of these places are breath-taking even through these media. It sparks a desire to go there and experience it first-hand. Yet when we finally arrive there and see and hear and feel that place - we know that none of the photos or videos did any justice at all to the truth of being there. The overwhelming beauty, on first viewing, seems to have a physical effect on us, like being struck in the chest. It then injects its power into our soul and we are forever changed by it. Big Sur is definitely one of those special places in the world. 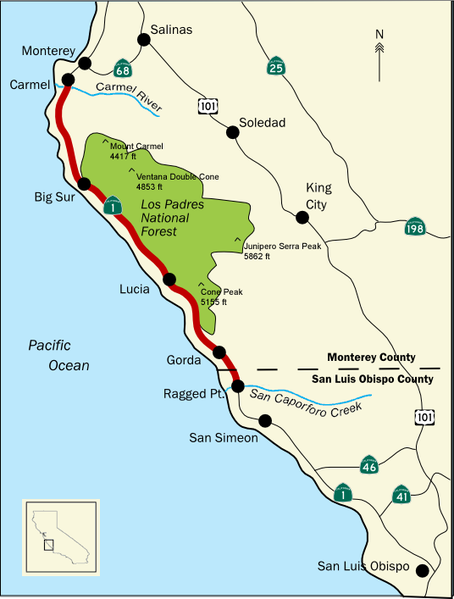 If you did nothing more than drive the 90 miles from one end of the Big Sur coast to the other, it would be enough. However, there are many opportunities for adventure and activities here that can satisfy nearly everyone. 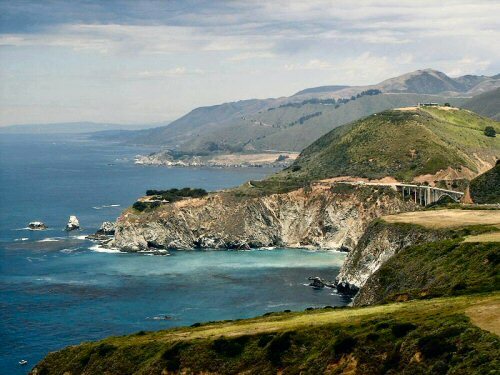 Big Sur California is indeed a special place, but unfortunately, criminals are there as well. Unattended vehicles have been a particular target where the thieves will break a window and take whatever valuables are there. Takes 30 seconds at the most. Don't leave your valuables in the vehicle. 888-833-4847 - This is an Anonymous Tip Line. Call 911 immediately. Don't wait. This is another good reason to have your cell phone with you. Don't transfer valuables to the trunk at your Big Sur stop. The trunk is safer than the passenger compartment, but if they break a window, they can just pop the trunk from inside the car. If you will be using the trunk (and you should be taking valuables with you, right?) put those things there before you leave your hotel or meal stop. Don't do it in Big Sur. The bad guys will be watching. It's unfortunate that these things have to be mentioned. But a bit of prevention and awareness can help avoid having your vacation ruined. An interactive Google map with locations of restaurants, lodging, camping and other amenities along the Big Sur coast. You can zoom in or out using the "+" and "-" keys and clicking on icons on the map will provide information about that service. 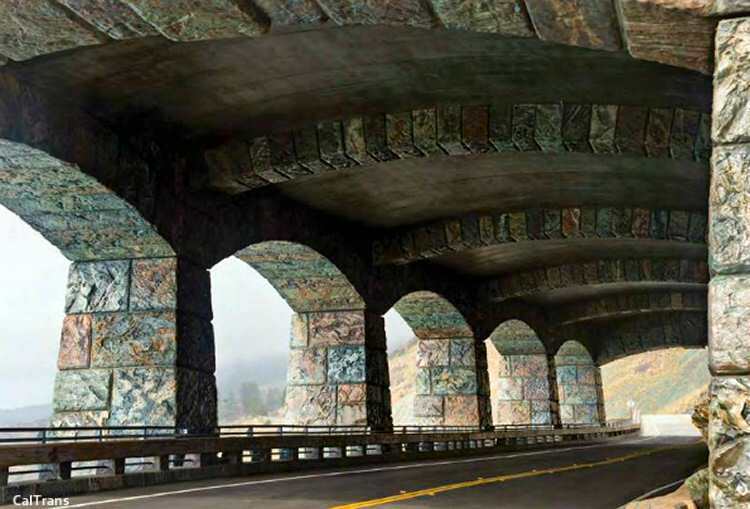 Rain Rocks Rock Shed and Pitkins Curve Bridge New!